The National Human Rights Commission (NHRC) has taken suo motu cognizance of a media report that at least 32 persons complained of complications ranging from retinal pain to total loss of vision, after undergoing cataract surgeries at a free eye camp organised at the Washim district hospital, Maharashtra last month. The Commission has observed that the contents of the press report, if true, raise a serious issue of violation of human rights of the victims. Accordingly, it has issued a notice to the Principal Secretary, Department of Health, Government of Maharashtra calling for a report within two weeks. 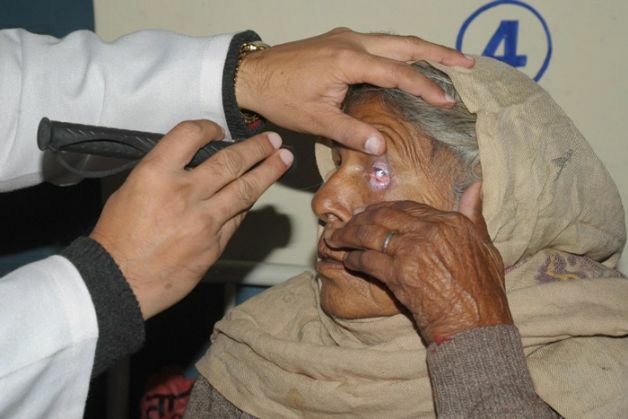 According to media reports, carried on the 6th November, at least 171 patients were operated upon at the Eye Camp. Of these, 32 including 18, who were operated upon on October 15, 2015, suffered serious eye inflammation. Reportedly, flouting the guidelines, the Washim Hospital authorities did not inform the local authorities when the patients suffered complications and sent them to the Government Medical College in Akola, which did not have a retinal surgeon. Twenty three patients were shifted to JJ Hospital, Mumbai, two to Jalna Civil Hospital and one to Government Medical College, Nagpur while six remained under observation at Akola GMC. Two doctors, who had performed the surgeries, were placed under suspension.